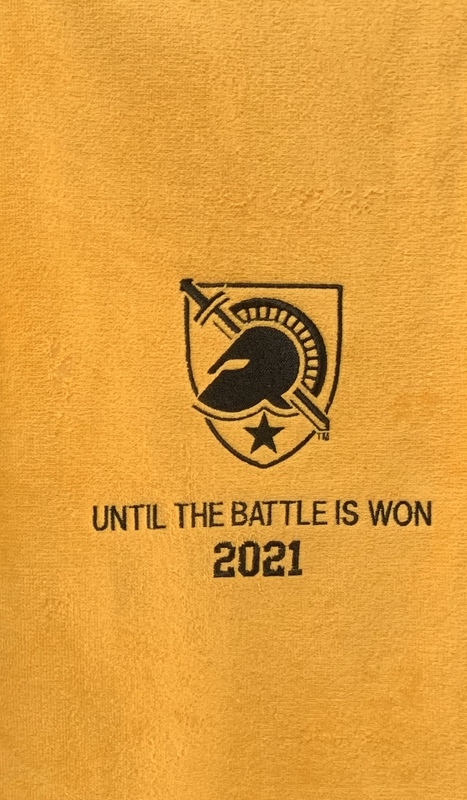 Army Football vs. GSU @ GA State Stadium, Saturday October 19- time t.b.d. 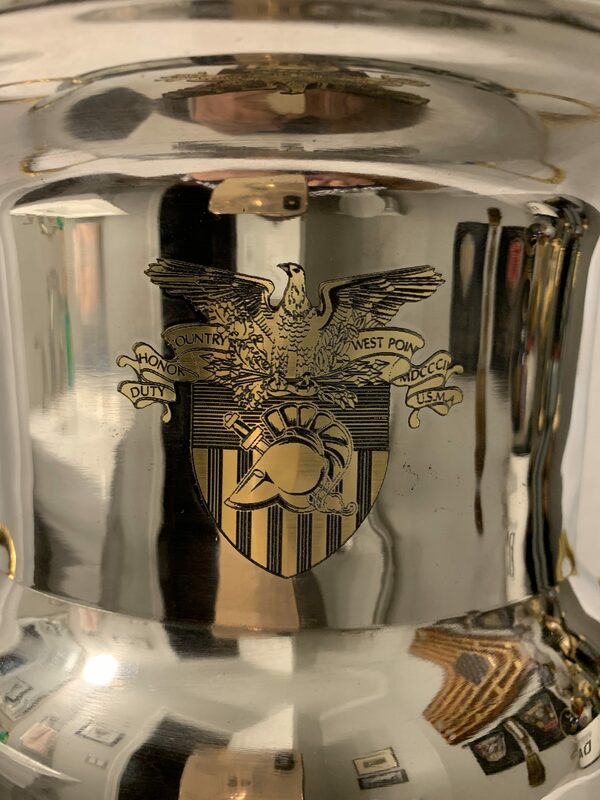 Order your tickets for the Army Black Knights vs GA State Panthers football game! 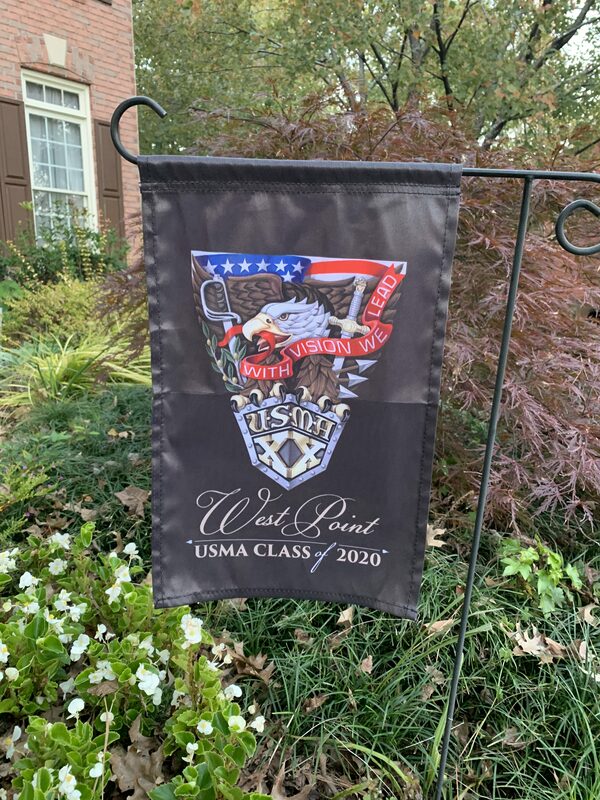 Orders placed prior to midnight March 21st will be included in the WPPC-GA’s group order. 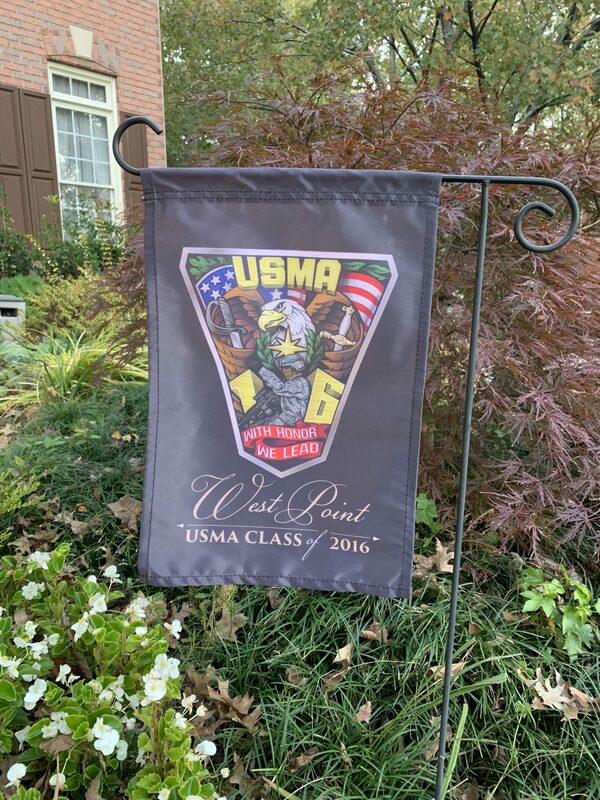 The tickets will be on the Army side. Tickets are $16 + $1.50 shipping and handling. Prepaid parking is $15 each. Parking passes will be mailed with the football tickets in late Summer. The parking spot will be in the same lot as the Tailgate party. 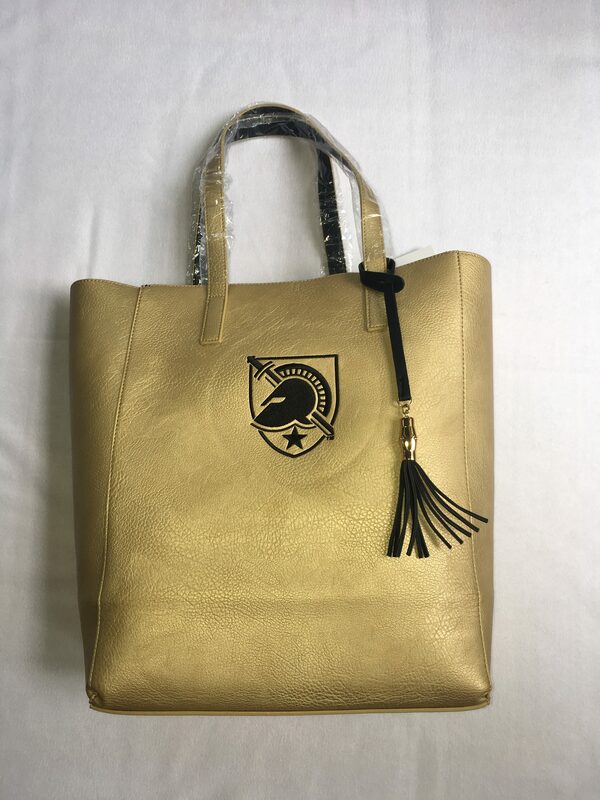 Luxurious textured faux leather tote embroidered with the Army West Point Athena shield. 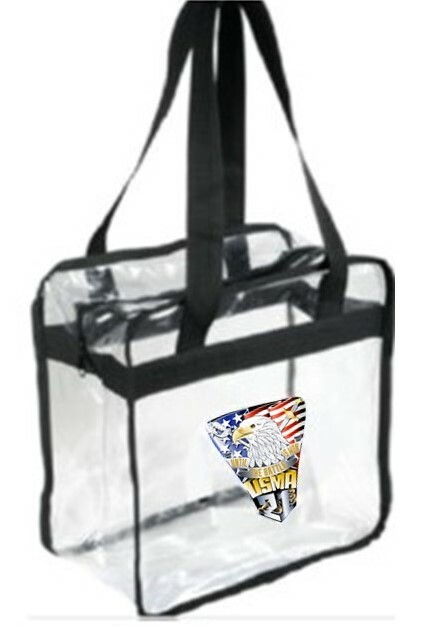 Bag is lined with contrasting color and includes a flat zip pouch for the interior. 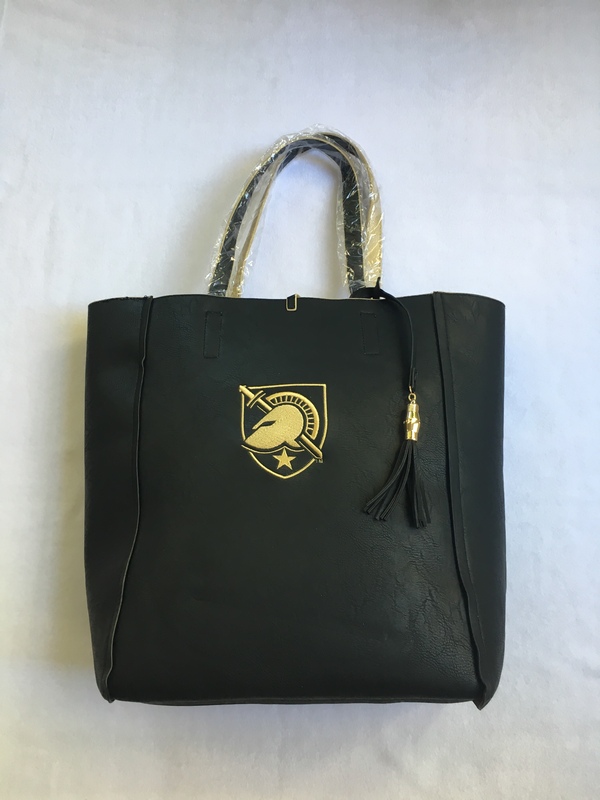 SIZE: 11.5"x4.25"X14.5"
Luxurious textured faux leather tote embroidered with the Army West Point Athena shield and your cadet’s class motto and graduation year at no additional charge. 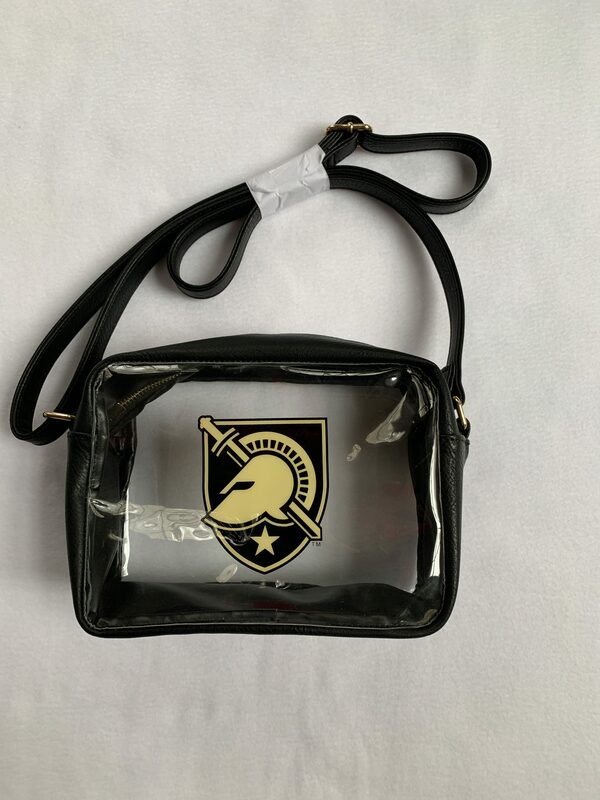 Black bag is lined with contrasting gold and includes a flat zip pouch for the interior. 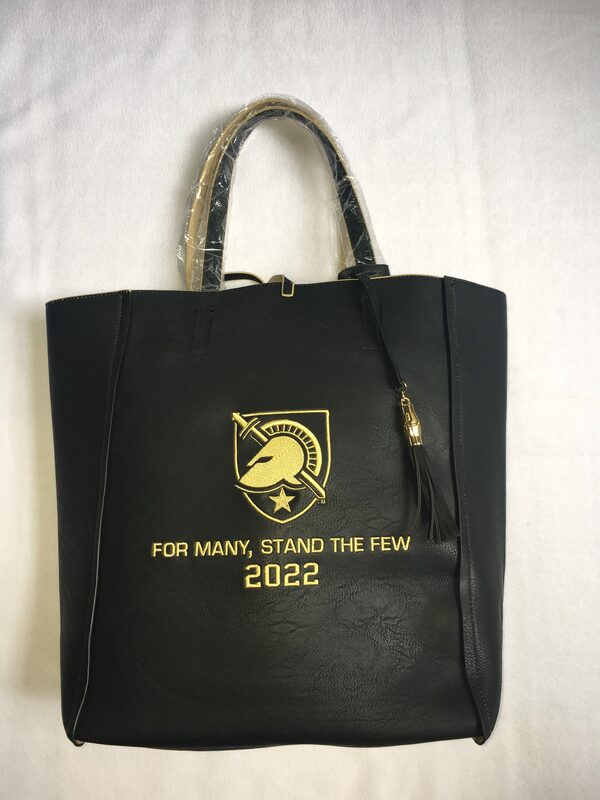 SIZE: 11.5"x4.25"X14.5"
Luxurious textured faux leather tote embroidered with the Army West Point Athena shield and your cadet’s class motto and graduation year at no additional charge. 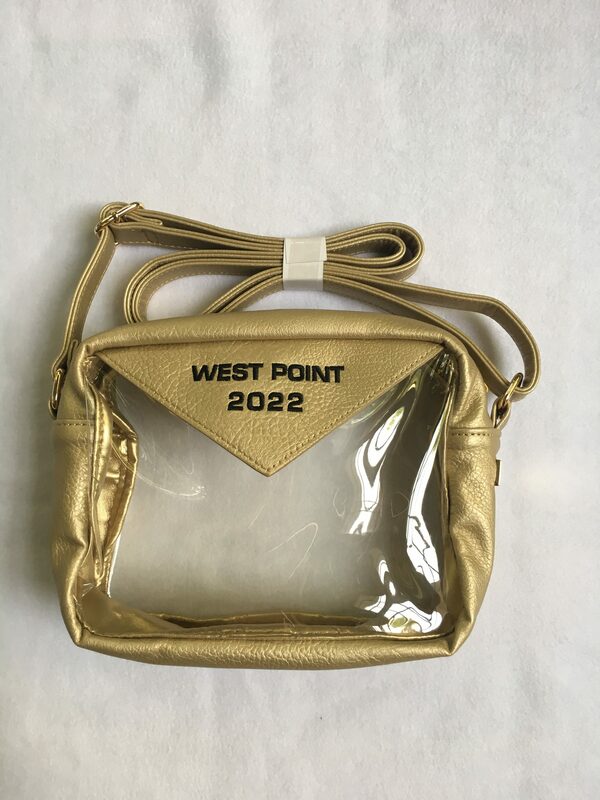 Gold bag is lined with contrasting black and includes a flat zip pouch for the interior. SIZE: 11.5"x4.25"X14.5"
Our cross body back is a high quality textured faux leather tote with a clear side panel. 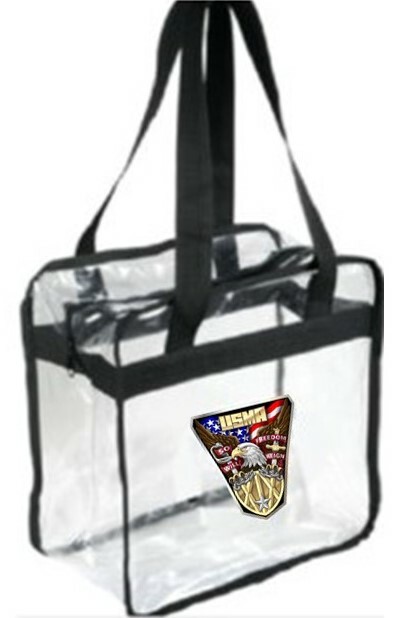 Meets stadium bag requirements for most venues. 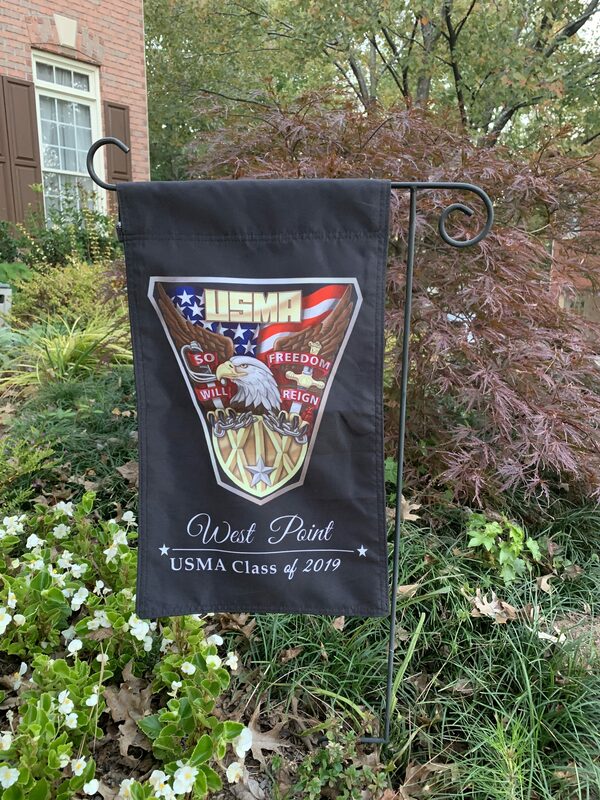 Embroidered with your cadet's graduation year. Our cross body back is a high quality textured faux leather tote with a clear side panel. 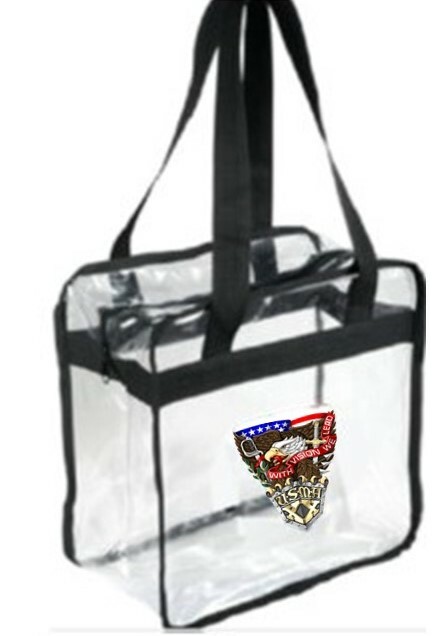 Meets stadium bag requirements for most venues. 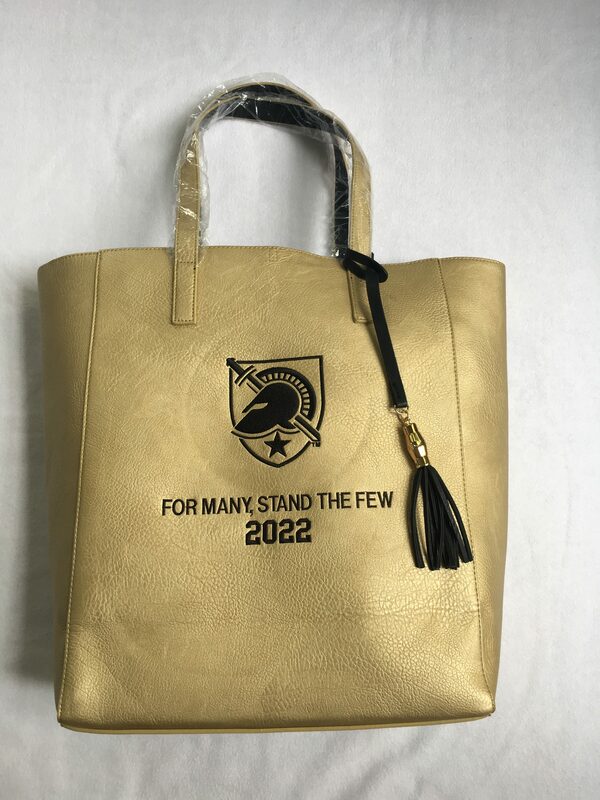 Logo is imprinted directly on the bag. 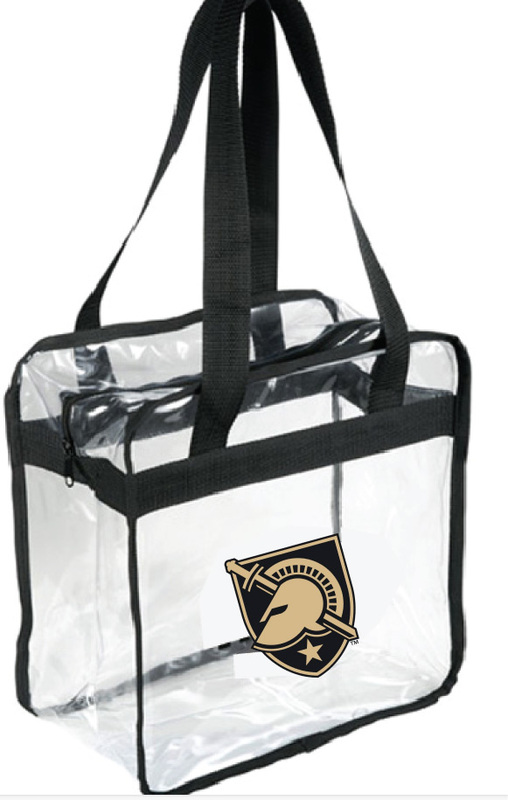 Our NFL/NCAA approved stadium bags include a class crest or the new Army West Point Athena logo. 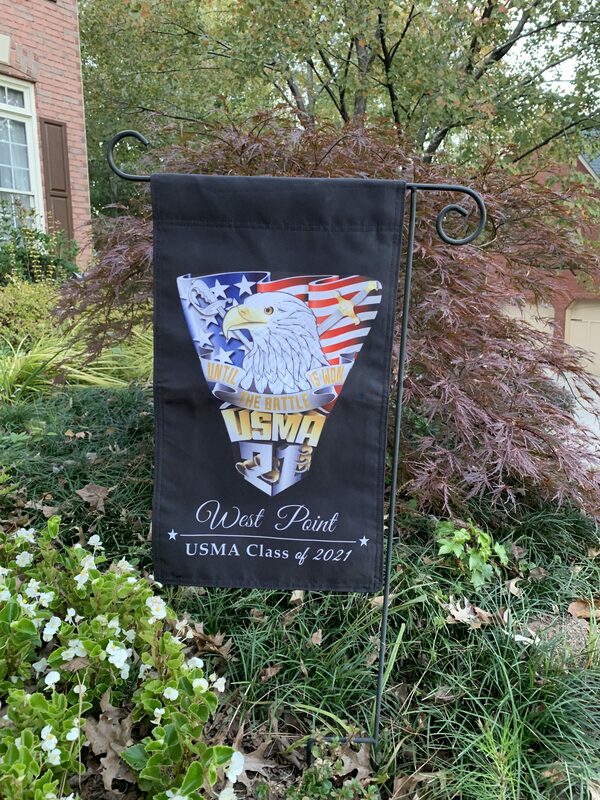 SIZE: 12"x12"x6"
Our custom class crest garden flag is lightweight and UV protected for outdoor/indoor use. 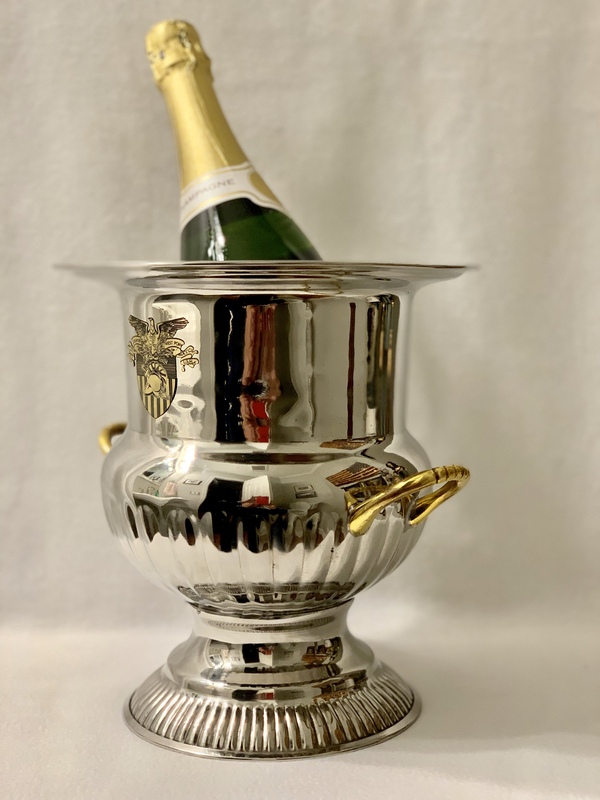 Celebrate your West Point graduation, wedding or any other special occasion with our silver champagne bucket with brass handles. 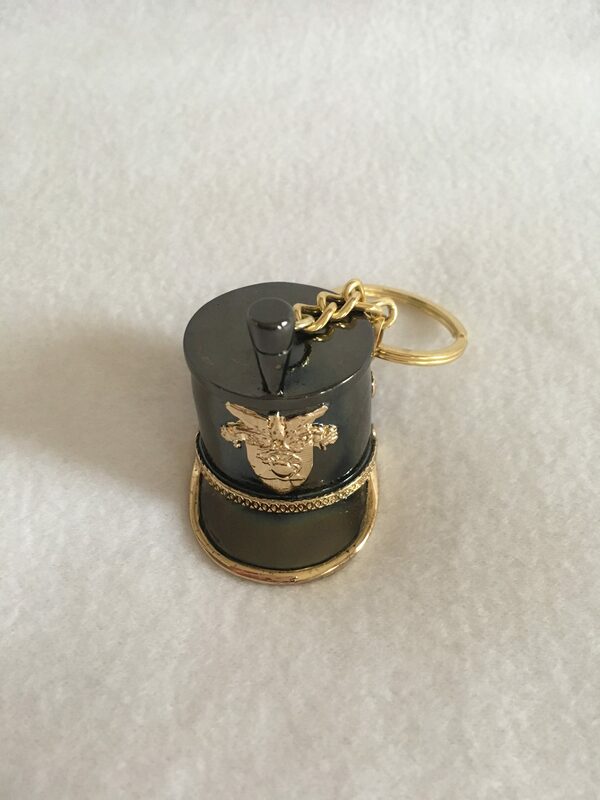 SIZE 9"x9.5"
WANT TO SUPPORT OUR CADETS?